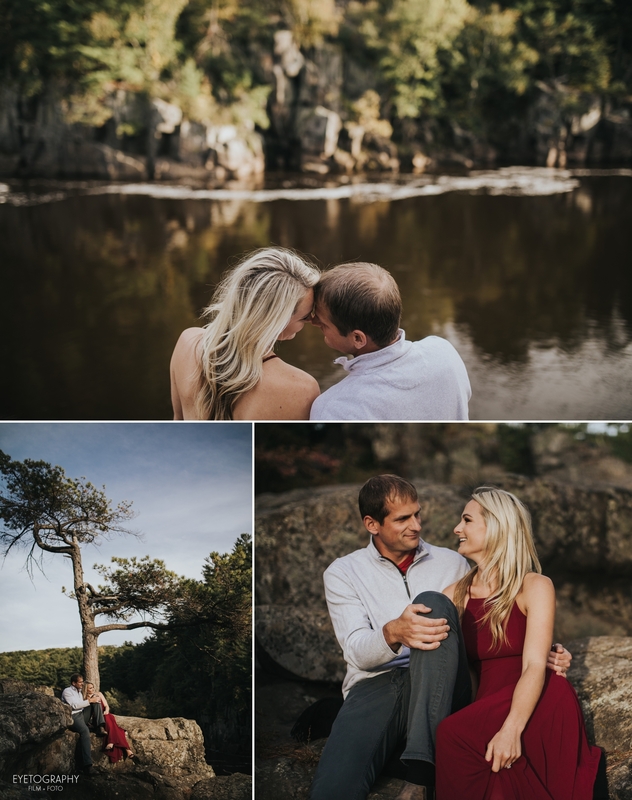 This was our first engagement session at Interstate Park in Taylors Falls and we absolutely loved it! Sure the park is pretty but the best part was Nick and Ali, who were hilarious. Ali was basically rock climbing in heels, and Nick was helping her even though he was wearing these really slippery dress shoes. (A quick aside: no couples were harmed in the creation of these photos.) Just to give you a sense of Nick’s sense of humor, as he was helping Ali down a series of rocks, he says ” Ah! I’m so generous!” and Ali dissolved into laughter. 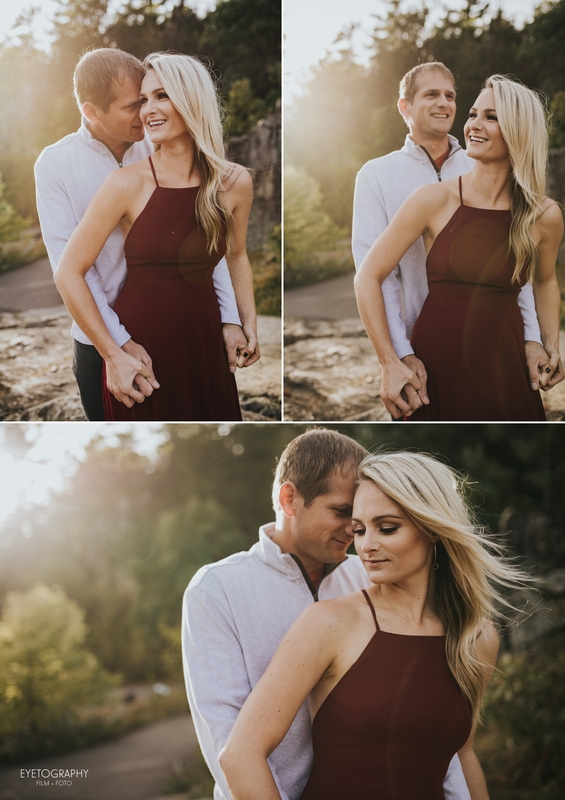 These two are great together and we can’t wait to shoot their wedding next weekend. Congratulations and see you soon!